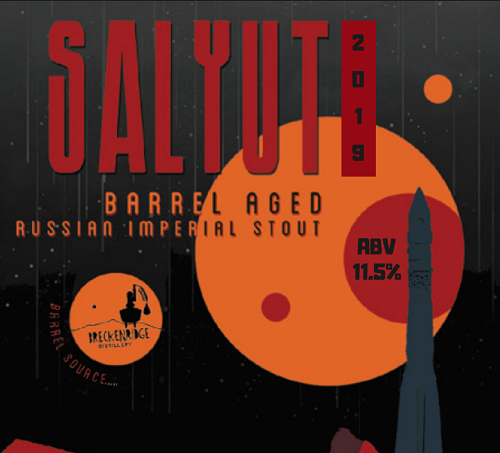 SALYUT has distinct aromas of vanilla, tobacco, & dried dark fruit held together by flavors of bitter dark chocolate, raisin, & rich malt. We filled this dark, silky liquid into Breckenridge Distillery Bourbon Whiskey barrels to draw out complementary flavors & aromas from the wood. SALYUT reaches out to the cosmos, and each year it’s made is a new adventure in our ongoing odyssey!